What’s Product at a Data Company? 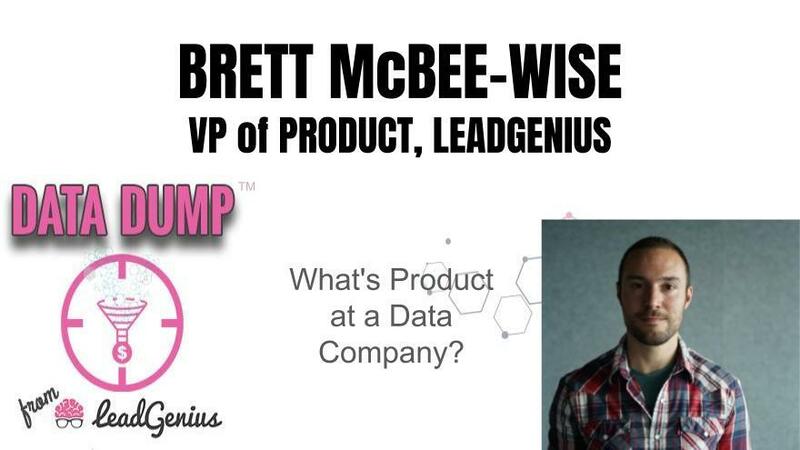 Mark Godley invites Brett McBee-Wise, VP of Product at LeadGenius, to be his guest for the 2019 April Data Dump show. Brett has a rich history in the martech space and has spent his entire career designing, marketing, and building sales and marketing software. Mark and Brett dive into what product looks like at a data company, the importance of user experience, balancing internal systems with the customer experience and much more. If you’re in product management or looking to get started Brett is an awesome resource...listen and learn!